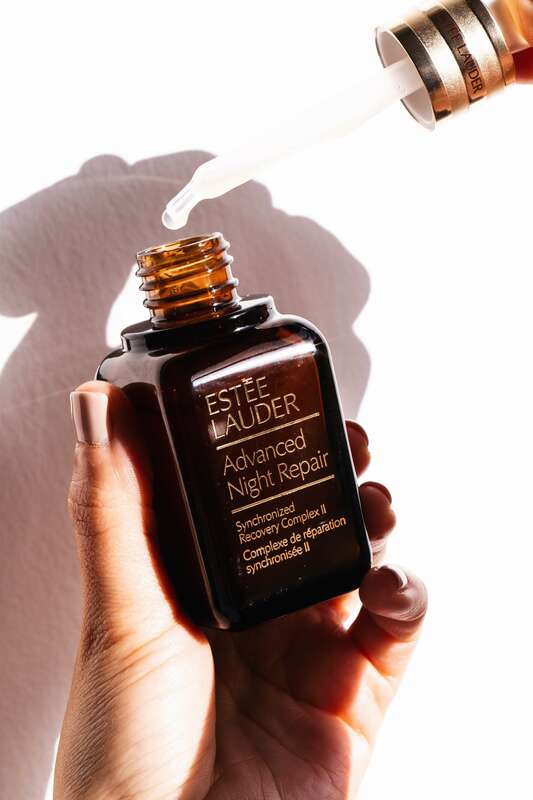 And speaking of serums, I always get tons of questions about what serum I use at night, so today I’m sharing my favorite serum for preventing and repairing damaged skin—the Estée Lauder Advanced Night Repair. I was super excited to start using this serum before partnering with Estée Lauder because I know tons of people who rave about it. I’ve been using it every night for a little over 3 weeks, and I’m obsessed! 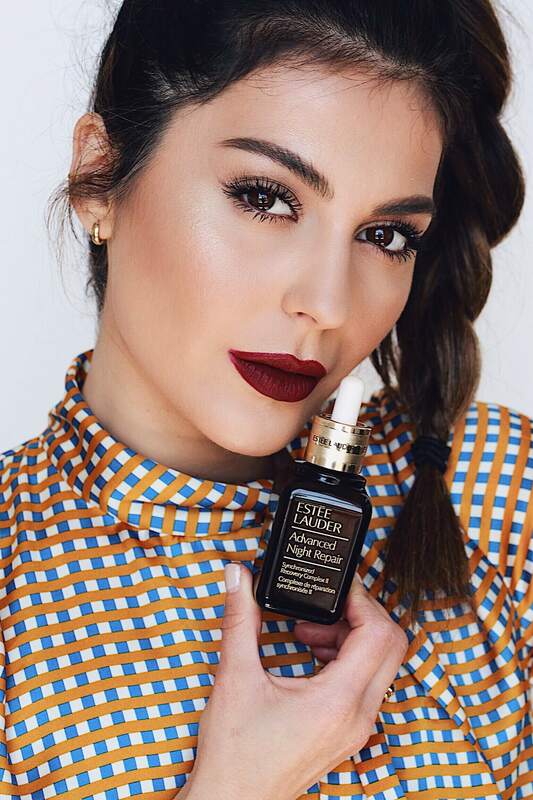 I recently added the Advanced Night Repair serum to my nighttime skincare routine and cannot stress how beneficial it is to add a serum to your nightly ritual! 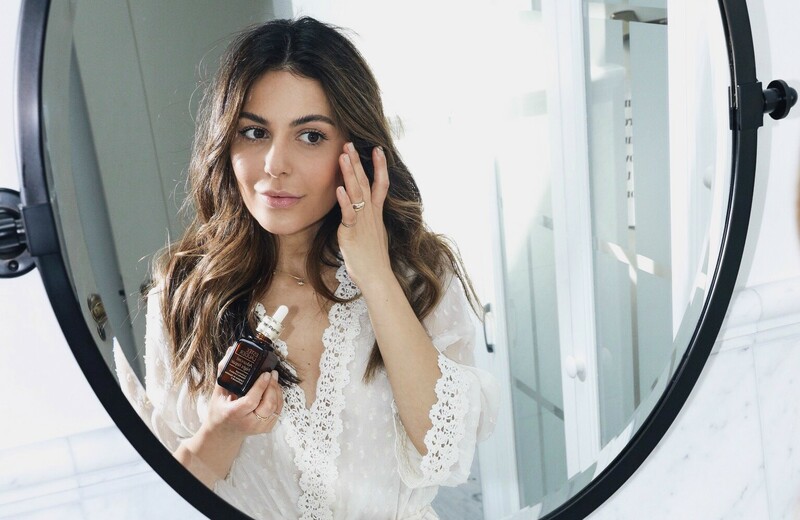 Whenever my skin is feeling dehydrated, dull or just plain blah, this serum is my go-to. 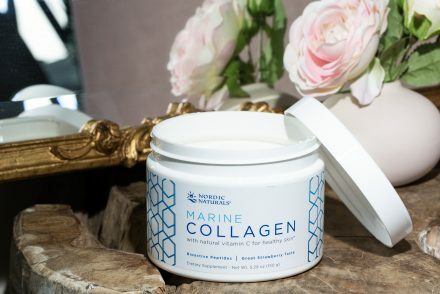 I love it because it’s made with hyaluronic acid and leaves my skin looking healthy and rested in the morning! After using this serum every night, I can definitely see a difference in my skin’s elasticity and overall hydration. It works great for my dry, acne-prone skin (and other sensitive skin types) since it’s oil-free and fragrance-free! 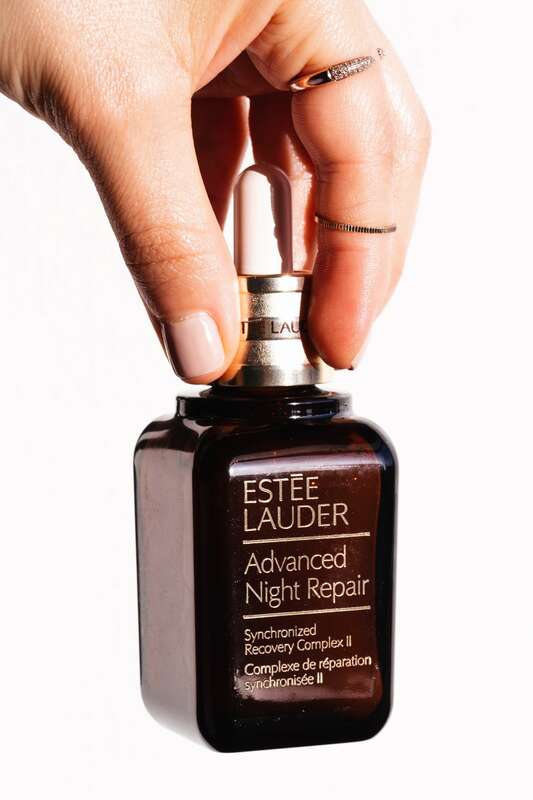 If you’re barely figuring out your nighttime skincare routine or looking to upgrade your current one, I definitely recommend the Advanced Night Repair serum to maintain youthful-looking skin. Ps. it’s top-rated on Sephora.com! 8 bottles are sold every single minute!! ? 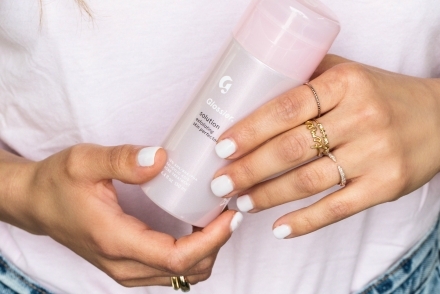 What products do you swear by in your nighttime skincare routine? Let me know below! Sounds amazing. Definitely gonna try this. I always use Vaseline on my heels before going to sleep. Oooh, that sounds amazing! There’s nothing like pampering yourself before going to sleep. I’ve never tired serums but this one seems wow. Have been hearing a lot about it. Is it really that good. I have acne prone combination skin . Living farsali’s volcanic elixir for night and Kiehls clearly corrective serum for my morning schedule . This serum is amazing for hydration and moisture! But the serums you use sound great too babe. I haven’t tried this serum but I definitely want to try it. I been breaking out lately and I think it’s because I been trying a new night cream. I’m still trying to figure out the best night routine for me. 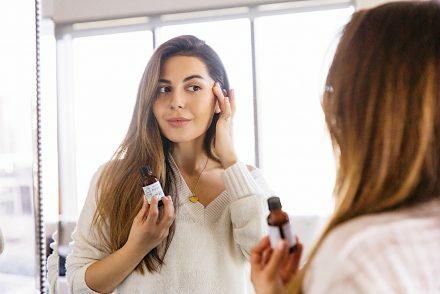 I swear by the serums I use! They are game changers, I’m glad you love yours too! Can’t wait to try.. still figuring out what’s best for my skin and the pimples keep coming from time to time.. thank you for sharing your thoughts on the product Sona.. keep up the great work.. I can’t live without this, my oil of Olay, and also I am going to be getting the eye serum from Estee. I have noticed my forehead lines, and my crows feet diminishing. Also on my chest. (yup all you side sleepers beware) it’s worth it !! Thanks Sona. Your skin is so radiate ? I really need to try this! My sister is seriously obsessed with this and raves about it ALL the time!!!! Thank you so much for sharing your thoughts!!! ??? I don’t want this to sound mean, but how can we trust a partnered recommendation? You said you tried it before partnering, but in all honesty, this product is expensive. 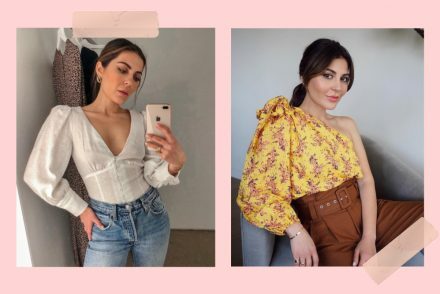 And in all your IG stories, and a pretty recent one too, you showed us all your products. And this wasn’t part of it. You are lucky and have earned to have big name brands send you stuff and ask for your input but for us who don’t have the luxury to change up our nightly routines like you do, claiming you can’t live without it, it just seems a little unreasonable and false. I tried it once, a trial size, and I can say it works… ? I love trying out different skin care products. I’ve gotten a sample from Sephora and cannot wait to try it. Skincare is the biggest investment I’ve been making. I mean, who doesn’t want younger, softer looking skin :). Great post! I will definately try this! Seems like an amazing product. i can’t live without this serum too !!! !